Over the past few months, I’ve become rather interested in the recent springing up of feminist accounts in the explore tab on Instagram. Most of their posts are screenshots of Tumblr posts or tweets, pictures of protest signs at marches, and infographics demonstrating why we need feminism, and why the feminist movement should be as intersectional as possible. When I began to come across these accounts, I was immediately curious about why they were created and what their admins’ actual opinions are regarding feminism/activism in general at a time when social movements have gained more traction on social media than they ever have before. The accounts I decided to ask these questions to are @foreverfeminism, @feminist101, and @intersectional.femme. What’s your opinion on internet activism in general, as an admin? How do you think it measures up compared to activism before the internet and/or social media became as accessible as they are now? 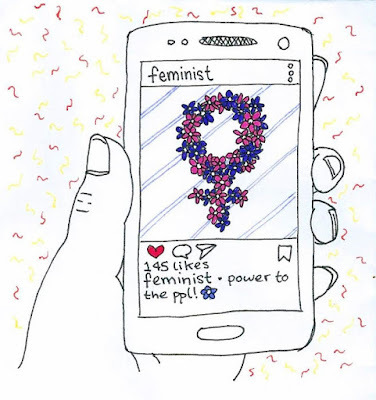 @foreverfeminism: I think it makes our causes a lot more influential. Now that we can see that it’s not just us fighting for this, that it’s people all over the entire world, I think it really strengthens people’s drive and confidence in what they believe in. It also makes making changes more accessible as you can easily write emails or letters to the people with the power, etc. 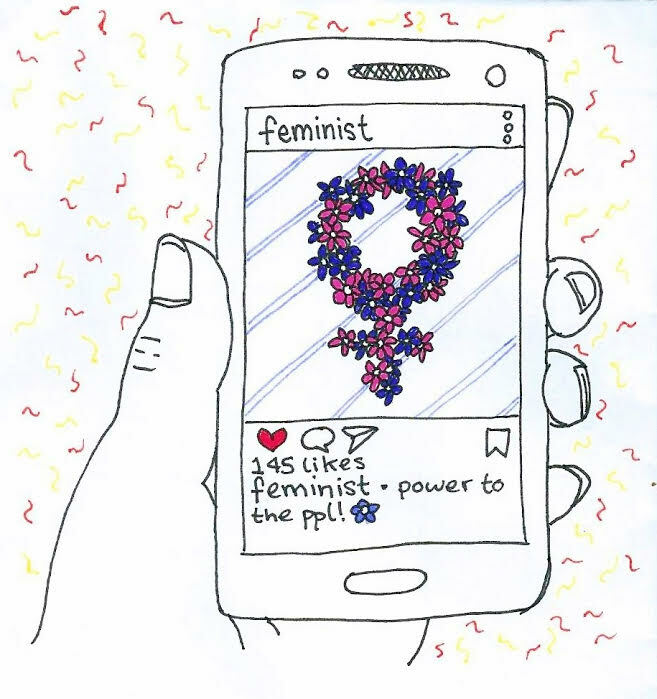 @feminist101: I think that internet activism is super important. It’s the easiest and most valuable platform to use to make change. As an admin (with my friend), we believe that, compared to before, change is more possible. However, criticism is much more frequent as well. @intersectional.femme: I think online activism is one of the best ways to inform people about what’s happening in the world right now. We all know that teens use social media a lot to interact with others, so why not encourage teenagers to do so with activism? What’s your opinion on the fact that wokeness is ‘cool’ now, and is often being commercialised? For example, H&M sells shirts with phrases such as ‘GRL PWR’ and ‘FEMINIST’ on them, despite the fact that H&M does not actually advocate for women’s rights. @foreverfeminism: Awareness is still a big factor in a movement like this. Even though it’s commercialised, it still shows the big companies’ views on things, and shows people what feminism is. @feminist101: I think when social movements, such as Black Lives Matter, become trends, it’s disappointing as f*ck. However, regardless of whether the brand is actually promoting the message they’re capitalising on, at least the message is still being broadcasted. @intersectional.femme: I do not like it when brands make girl power shirts yet do nothing to help; they are basically profiting off of personal oppression. As an admin, how much of a difference do you think a single activist/feminist Instagram can make? @foreverfeminism: So much. We get millions of views on every post and countless people asking questions and thinking about things. A single Instagram can have so much influence - the influence spreads, creating a ripple effect, which helps us to make changes. @feminist101: I don’t look at how big the impact is. 100,000 followers or 1, it doesn’t matter: you are still making a difference. If we can convince one person to become a feminist, that’s a massive difference. @intersectional.femme: A lot, actually. The majority of my followers are teens - that’s a very good advantage since we can expose them to what’s happening right now. What advice do you have for teens who have seen/experienced activism online, but aren’t sure how to get started when it comes to online activism? @foreverfeminism: Joining clubs and groups is a great way to get involved. Schools or local areas may have feminist clubs, or groups like Girl Up (an organisation advocating for the education and rights of girls in third world countries) or Amnesty International, for example. Advice I give to people wanting to know how to make a difference is to just make sure you are educated about things - read the (unbiased) newspaper, know your facts. When you know your sh*t, it’s a lot easier to combat people who don’t like what you’re doing. @feminist101: Anything makes a difference. Get involved and talk to people. Start a group or a club - find like-minded people. 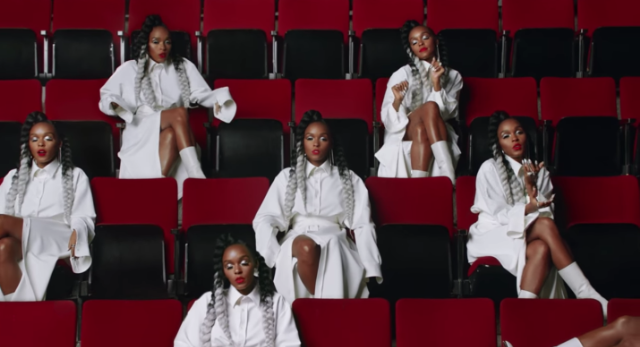 @intersectional.femme: I say get into it. Even if you don’t like it, it’s good to learn about what’s happening.